(Jakarta, 06/15) One man. One piano. One series of daily life. One extraordinary story. Typisch Lang Lang, a documentary film about a famous pianist, Lang Lang, directed by Marc Pos from the Netherlands scored high in the World Film Awards, Jakarta, Indonesia, and becomes the festival best film. Film has once again become the universal commodity to build harmonious relation and peace between countries. This strong value has been rooted deep in the mindset of the juries of the World Film Awards festival when they justly and carefully picked this excellent produced documentary film from the Netherlands. World Film Awards is founded to support independent filmmakers, as well as travelers, history lovers, and adventurers to show their passion through entertaining and informative films. It aims to encourage people to love their culture and respect others, and to build a world without boundaries. Jaap van der Werff from the Pos Video and Television attended the ceremony and was gladly received the glorious award at the grand Auditorium of the Ministry of Youth and Sports. 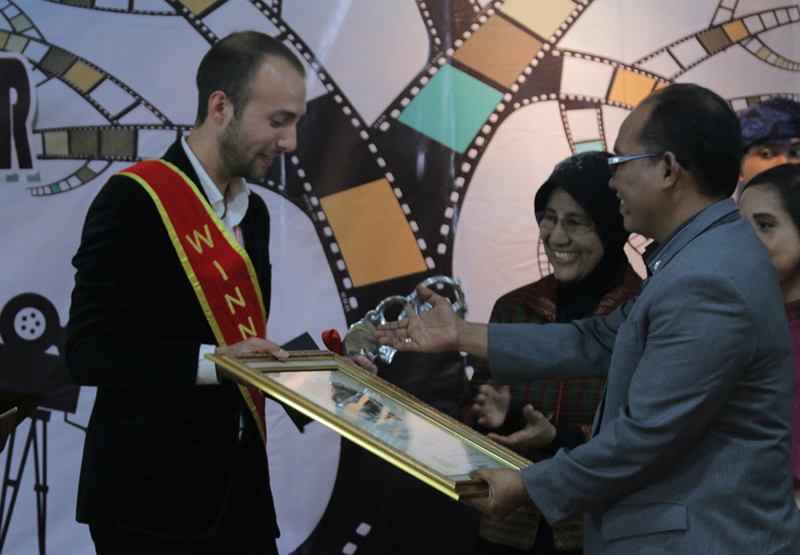 The Awards Ceremony, held on the 9th of June 2015, was inaugurated by the Minister of Youth and Sports, Imam Nahrawi. He warmly welcomed all the international winning filmmakers from all over the world and expressed his hope for a continuation and knowledge sharing between the local and international filmmakers, as well as maintaining good relation between countries. The festival event is organized by the Indonesian Council of Creative People who works together with the Indonesian Ministry of Youth and Sports. This fruitful collaboration has given a way to more than 50 attending international filmmakers to share their thought about film making in front of more than 300 local filmmakers during their three nights stay in Menara Peninsula hotel, Jakarta. The event is also supported by the Russian Cultural Center in Jakarta, and some carefully picked winning films were screened there for public.